You’re just in time. Please subscribe to our Newsletter and receive special coupons, deals, and swag codes. No Thanks! I’m not interested right now. Welcome to TheRuckShop Online Store! 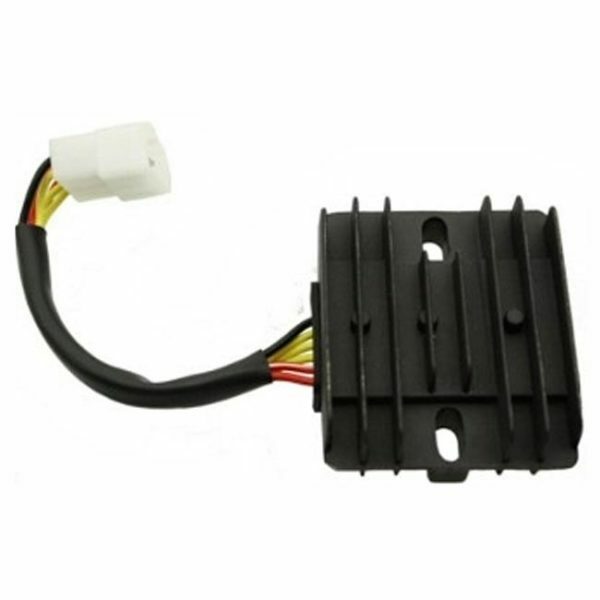 6 Pin Regulator for 150cc and 125cc GY6 engines commonly found on Scooters, ATVs and Dune Buggies/Karts. Electrical items are non-returnable, please check photos and specifications before ordering. 6 Pin Regulator for 150cc and 125cc GY6 engines commonly found on Scooters, ATVs and Dune Buggies/Karts. Electrical items are non-returnable, please check photos and specifications before ordering. Please see our Warranty & Returns Policy. Copyright © 2010-2019 The Ruck Shop. All rights reserved.